He was born Willard Carroll “Will” Smith Jr., on September 25, 1968. First of all can we mention that, we did not see that coming, he always us struck as a ‘William’, but that’s a topic for another day. Today we are going to check out his statistics just because he is Will Smith, or Willard, either way when you are constantly being listed in Fortune Magazine’s ‘Richest 40’ list of the forty wealthiest Americans under the age of 40, you will be on everyone’s radar. So without further ado, lets dive in. At first glance, our dear Willard is quite the tall guy. 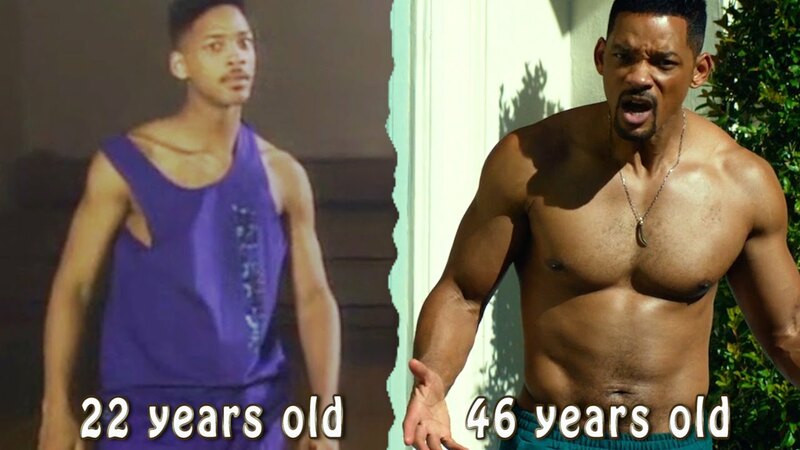 Well that first glance is not deceptive, Will Smith has definitely been visited by the gods of height. We don’t mind if you know the exact figures or not, we’ll tell you anyway. The actor stands tall at 6 feet 2 inches. You know what is crazy and cool at the same time? His wife, Jada Pinkett Smith, is a foot shorter than Will. Their kids, on the other hand, are trying to follow in their dads footsteps as much as their ‘biology’ will allow them. 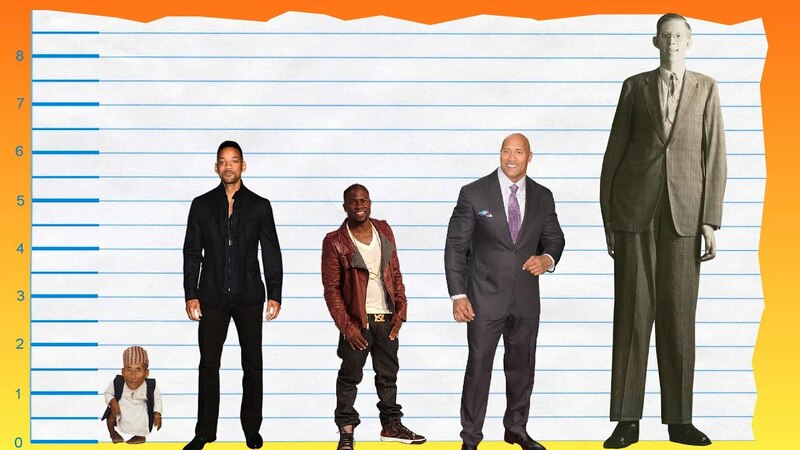 Does Will Smith’s height have a part to play in how he gets cast in Hollywood? You bet it does, as versatile as he is, Smith’s height opens him up to roles of a hero, a , a man in uniform, a man with authority and the list goes on. Of recent the actor has taken up more serious roles, but a majority of the roles he portrays are typical ‘tall guy’ roles. Celebrities who share Will Smith’s height are, Arnold Schwarzenegger (according to Arnold Schwarzenegger), the 2016 Republican Presidential candidate, Donald Trump and, surprisingly, Chris Brown. Apart from Smith’s height, he has some other distinctive features; the actor has dark brown eyes, black hair and ears that people have referred to as ‘Dumbo ears’. Nevertheless, the actor has owned it. More recently there have been speculations that unlike Will Smith’s height, his ears have been cosmetically altered. Rumors of an ear pinning were circulated, but Will has never addressed any of them and we doubt he is going to. Willard’s weight is quite the juicy topic. Like most actors and actresses in Hollywood, it is not odd to add a few pounds or drop some for a movie role. Regardless, the actor has maintained his good ‘shape’ for a long time. He looks ripped when he needs to and toned when he needs to. In the movie ‘Ali’, the actor bulked up and built more muscle, while he slimmed down for his role in ‘I am Legend’ and in his recent movie, ‘Suicide Squad’, Will went the extra mile and sported an eight pack, because six packs are so last season. The actor currently weighs 82 kg, which is pretty amazing considering his height and build. Like we often say here, it doesn’t happen overnight people, once again the dynamic duo, ‘hard work’ and ‘compromise’ must come into play. The actor under goes intense workout routines throughout his week, which combine cardio and resistance training in addition to that he is on a pretty regimented diet which backs up his workout. He sticks to a high-protein, high-carbohydrate diet that helps him build muscle and shed fat; and just to clarify that, he eats healthy carbs like vegetables and whole grains, so if you’re planning to emulate him, put away the baked and fried foods. With these celebrities you can hardly keep up, but living a healthy life, on whatever scale, is a necessity. Since he is someone who goes to great lengths to ensure that he is a particular size and looks a particular way, best believe that we have all his statistics on a platter of gold, ready to be served to you. Will has a naturally slim frame, but that has not stopped him from bulking it up with the adequate amount of muscle, over all he has about 6-8% body fat. His chest is 42 inches, his waist is 33 inches and his biceps are 16 inches. All that weight lifting must certainly be paying off. You know we aren’t going to end this without telling you his shoe size. The actor wears a US size 11, a European size 44 and a UK size 10.5. There you have it, Willard Carroll ‘Will’ Smith Jr’s statistics.